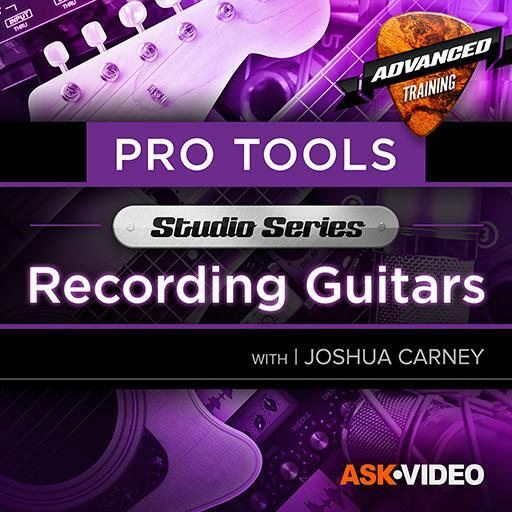 Pro Tools 501 - Studio Series - Recording Guitars. Which type of microphone requires phantom power? Which amp model would be most appropriate for hard rock distortion tones. Which element of a delay effect will determine how long the delay lasts for? Which is more common for studio bass recording? You send your DI signal in Pro Tools to a ___________ on your interface when reamping. Double-tracking and panning takes will achieve the same effect as Duplicating and Panning. Which miking position for acoustic guitar will result in more high frequency emphasis? Which bass amp mic is also commonly used as a vocal mic for broadcasting? Tube Condenser mics require phantom power. What feature in Pro Tools allows you to add a new recording at a set length and position? Active Ribbon Mics require phantom power, while tube ribbon mics have their own power supply. Which of the following is the most difficult to edit? The Wah pedal position can be automated with any MIDI continuous controller, like Modulation Wheel. Which polar pattern rejects the most sound from the sides? Which amplifier was originally intended for bass guitar, but was more commonly use as guitar amp? Creating a ______ allows you to link playlist editing. What guitar recording technique allows you to record DI guitar, edit the DI, and then still use a real amp? Which type of microphone technique will result in a brighter recording? What is the most common dynamic microphone for recording guitar cabs? Which miking techniques requires two bidirectional condensers?